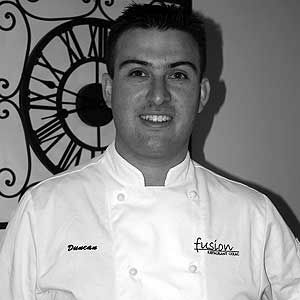 Daniel’s love of food had humble beginnings in the sink of a bar and grill in Far North Queensland. Scrubbing pots and pans while attending University, Daniel graduated with a position in a prominent recording studio in Sydney’s Crows Nest. It was upon resignation of his kitchen hand position when he realised that he was walking away from a career built of fire and passion. 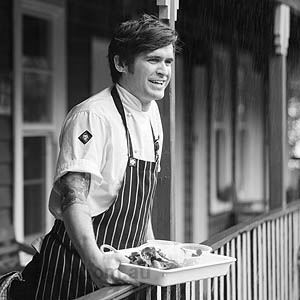 Following instinct, Daniel relocated to Victoria to train under Hatted Chef, Andrew Phelan developing a strong passion for Thai and Mexican Cuisines. 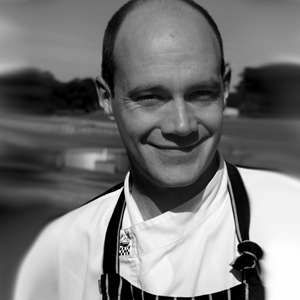 Daniel worked alongside Chef Phelan for many years opening new venues across South East Victoria; notable mention, being the European restaurant Harry Hall in Malvern that received much acclaim during its years in operation. He continued his adventure across Victoria exploring Spanish cuisine, spending time working with Executive Chef, Antony Henare at the harbor side restaurant Puerto. 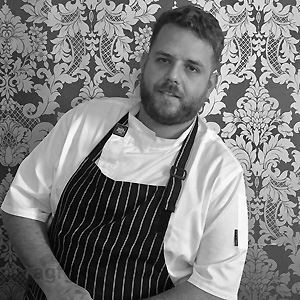 It was here as Sous Chef, Daniel found his strong love for tapas and the Spanish style of eating. Now at Quorum Restaurant, Chef Daniel Guy is compiling his experiences to create food that bring passion and flavour from a vast array of cuisines. Drawing on his surroundings, creating a menu highlighting locally sourced ingredients and combining them with spices from across the globe. 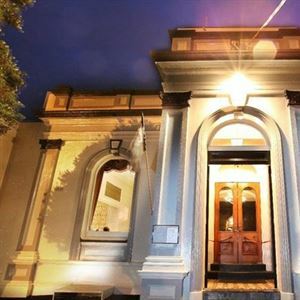 Set in a lovingly restored historic Victorian building in Warrnambool, Quorum Restaurant is a dining venue reflecting the spirit of a bygone era. Styled after gentlemen’s clubs of 19th Century London, Quorum boasts elegant surrounds, radiating relaxation and charm. When dining for lunch don’t look past Port Lincoln sardines, with tomato, fennel, sea herbs, salmon roe and house salad, or perhaps crispy pork belly fried rice, with Lap Chong sausage, prawns and peanut lime satay sauce. In the evening, pork cutlet scallopini, potato gratin, broccolini, carrot, mushroom, bacon and Brandy sauce entice; or slice into a grass-fed Cape Grim Scotch, with crumbled blue cheese and pancetta sauce. To finish, indulge in soft-centred chocolate pudding, housemade strawberry and blood orange sorbet.